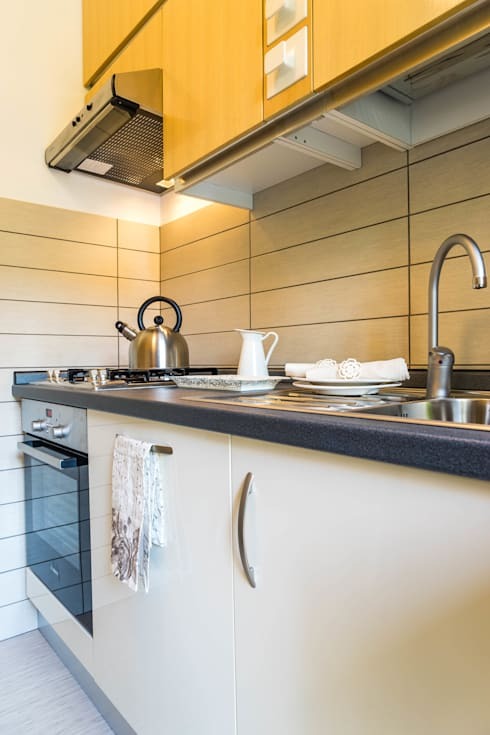 Any renovation professional is sure to tell you how testing a makeover can be, especially when trying to give the space a sleek edge without compromising the old structure’s winning fundamentals. 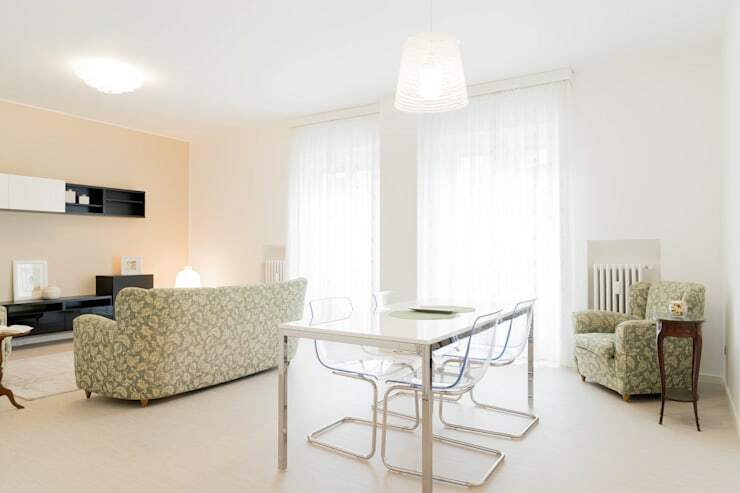 This challenge was most certainly experienced by expert home stagers Francesca Greco – Home Philosophy when they tackled an apartment in Milano, Italy. Known as the capital of fashion, it was clear that our professionals were inspired by the city’s glamorous vibe in their project. Even though the old space had some potential and classic elements, its layout was far from winning. 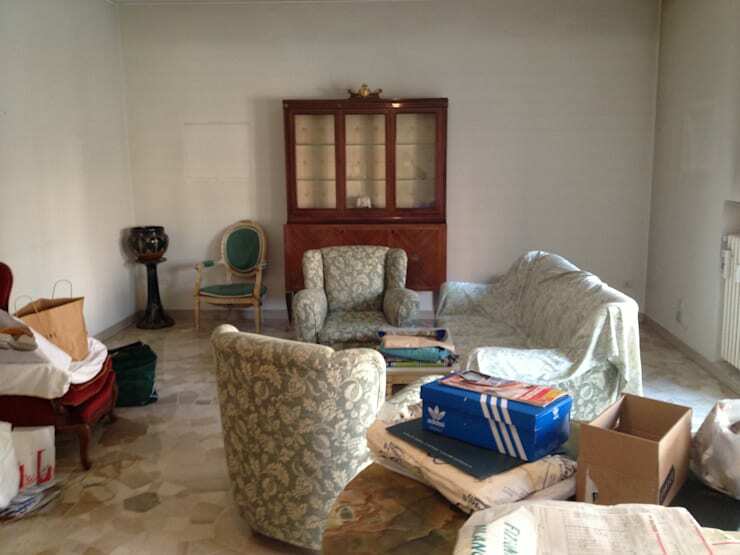 The patterned sofas were no match for the wooden cabinet, while the cluttered chaos of the room made it seem like the owners were either in the process of moving in or being robbed. Ta-da! While the old patterned sofas were kept in, their surroundings most certainly got a new look. The main hall got treated to a fabulous open layout, drenched in pale tones and an abundance of incoming sunshine. And we are pleased to note that the new entertainment unit fits the new-age dining table (don’t you just love the chrome and glass?) like a glove. The living-room section of the open-plan area is an ‘old meets new’ area, with the old patterned couches deliciously offsetting with the sleek new shelving. 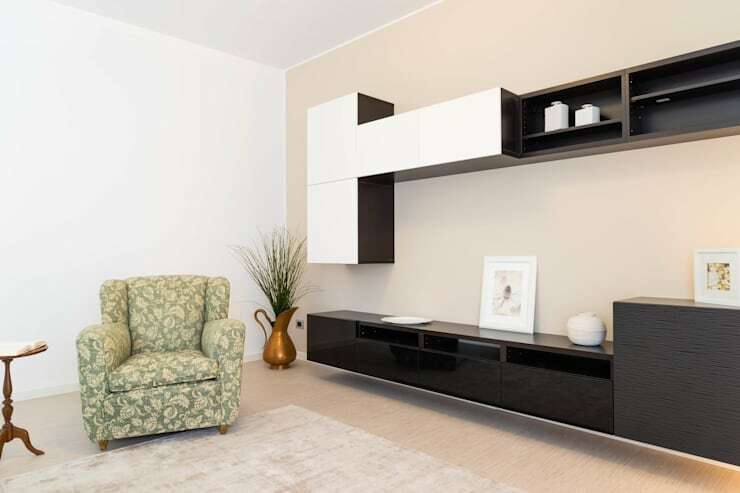 Not only do the styles contrast perfectly, but the colours do as well – see how the monochrome entertainment and shelving unit take on the pastels that adorn the floor, walls, and ceilings. 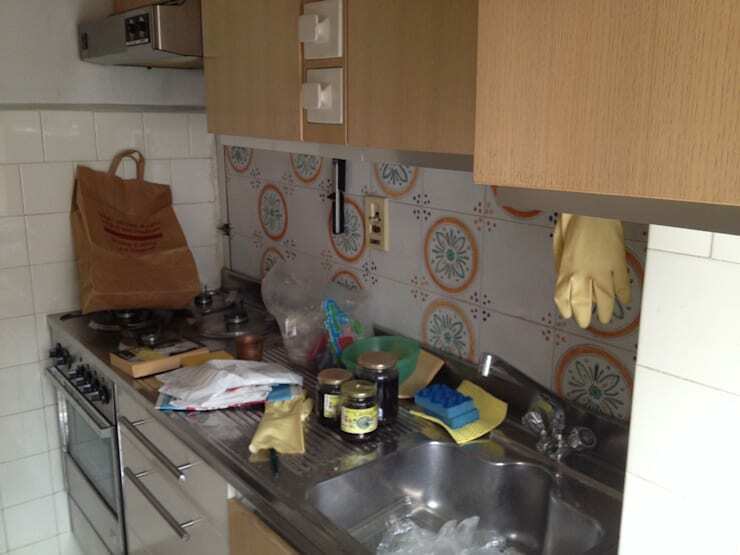 The old kitchen presented a space that was in desperate need of an intervention; a professional calling ‘halt’ to the mismatched wooden hues, dated backsplash, and messy countertops. It would seem the intervention/makeover was quite successful, as the new kitchen now looks like a most inviting spot. Country-style cabinets, granite countertops, a creamy new backsplash, and (most importantly) an absence of clutter and grime all flow together superbly. 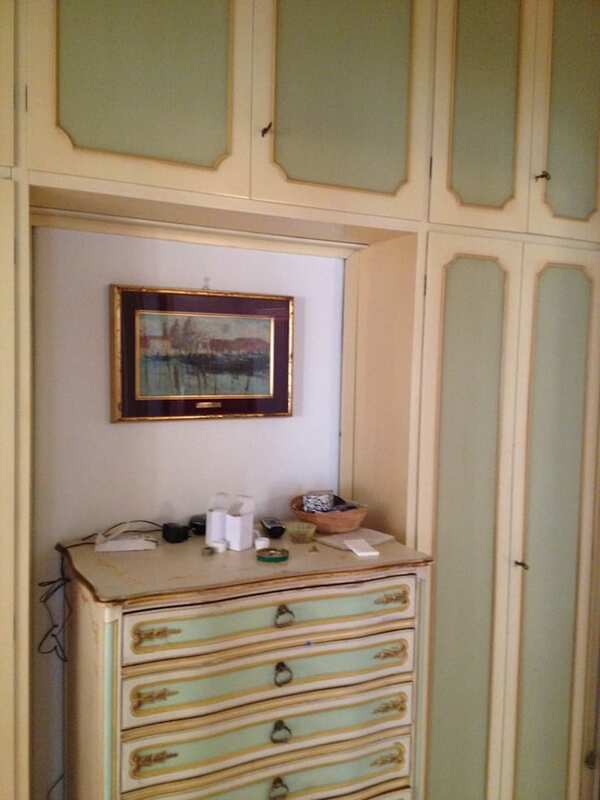 They may have been super classy at one time, but the furniture in the bedroom had become stained and tarnished with time – far removed from their golden days. And don’t get us started on the messy surfaces and tired-looking colours. Thank heavens for good taste, for that is what this new space is made of. The bulky and ornate pieces from before have been replaced with slim and open shelves, as well as tall closets – all decked out in a heavenly white that makes this new room seem timeless. We are not quite sure which seems more inviting: that cosy little terrace outside, or the plush bed with its creamy tones. The perfect amount of pattern and texture are introduced via the textiles, with a clean wall and equally neat headboard melting into one another beautifully. 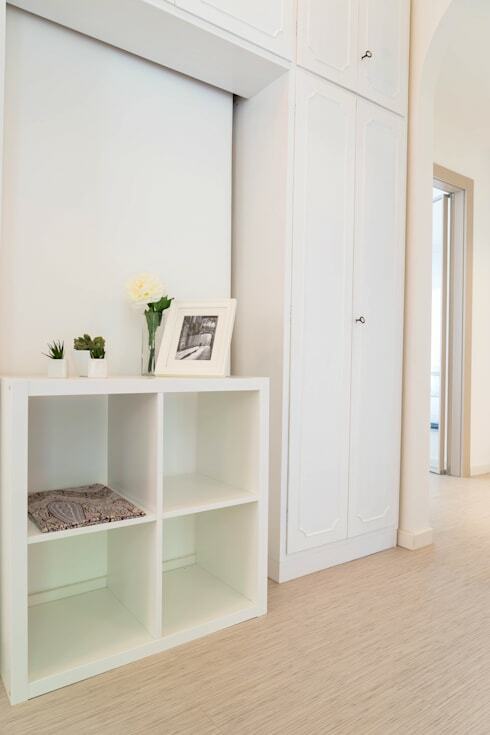 Kudos to the designers for including the bedside tables that allow for some closed-door storage!